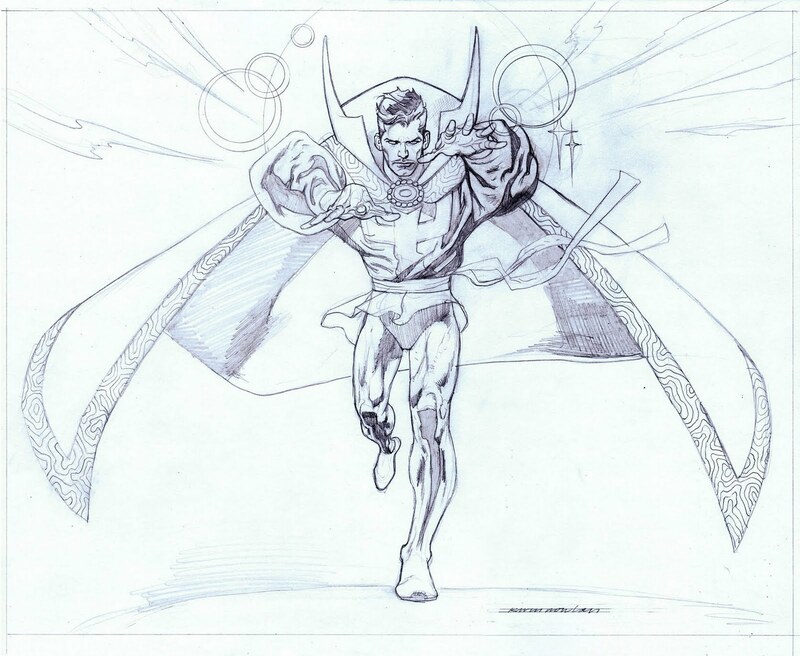 ALWAYS a big fan of your rendition of DOCTOR STRANGE! Amazing that someone who drew only one (?) actual issue (not counting the many gorgeous covers) would have such a lasting hold on "ultimate" look of the character (in addition to Michael Golden... another "1-issue" DOC artist). You (and he) are constantly being sought out for definitive artwork for marketing, merchandise and stuff for Dr. Strange. And I, for one, am thrilled by that! I also see that Marvel is releasing the Strange Tales v2 series as a TPB - with your amazing covers. Just another reason you should be drawing Dr. Strange monthly. I still own that ONE "Doc" issue you did. 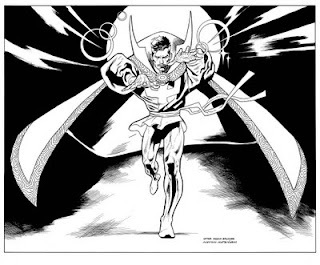 is it intentional (either by you or the commissioner) to have this be an homage to Frank Brunner's pose from the cover to Marvel Treasury Edition # 6? Not any kind of accusation. Just an observation. 'twas the overall layout (open space behind, "lightning bolts" in foreground) that jogged my memory. You're right. It wasn't my original intention but the final piece is similar enough to Brunner's that I really should add a "After Brunner" line over my signature. Since it was his take on Doc that got me interested in the character in the first place and I always seem to be drawing that specific version of the character, I'd say it's the least I could do. Thanks for posting the prelim with the finished artwork Kevin. I love seeing the whole process. Congrats to Gerry for getting in another great Nowlan original!!!! This is great! 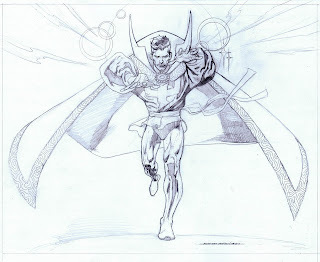 I still have a Doctor Strange poster from the 1980s you drew/painted hanging on my wall. One of my favorite artists drawing one of my favorite characters! I'd love to see a Doctor Strange/Deadman story drawn by you.